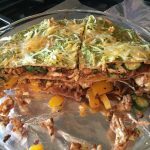 Nutritionist Dana White’s fabulous Quesadilla Lasagna recipe is surprising, delicious, quick and easy to make, and a great source of lean protein, vegetables and fiber. Even my husband who does not usually care for ‘1-pot’ meals loves this hearty dinner. Dana’s original recipe calls for traditional salsa but since that messes with my acid reflux, I modified to use her Green Sauce instead of salsa. So give this recipe a whirl when you have about a cup of leftover Green Sauce. 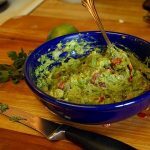 Or make some delicious Green Sauce first: it’s fantastic on proteins, vegetables, salad and as a dip. In June, when I spoke about The Low Cholesterol Cookbook and Action Plan at the Westport Library Cookbook Club, an audience member asked if I post my cholesterol test results. While individual test results are only relevant to that individual, I get this question often enough that it seemed a good time to update with my latest lab scores. Because I’m a data nerd (and like to discuss cholesterol trends with my doctors…and a visual makes a recap easy!) I’ve graphed them over time. These latest results were heartening (sorry, pun intended) and indicate the lo-co change I made in mid-February is working. On Thursday, June 14th, I’m delighted to be hosting the Westport Library’s Cookbook Club. 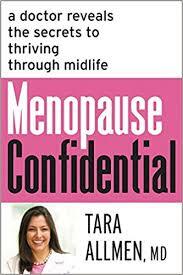 The topic will be how to lower cholesterol with diet and exercise and I’ll be demonstrating a heart-healthy side dish/appetizer from my book, The Low Cholesterol Cookbook and Action Plan: 4 Weeks to Cut Cholesterol and Improve Heart Health . As my husband and I are then hosting a book-launch party immediately following the event, I needed to plan a heart-healthy cocktail party. 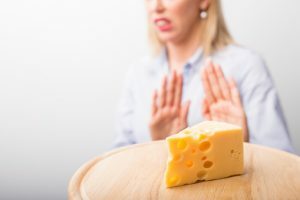 Clearly, two hors d’oeuvres mainstays—a cheese board and charcuterie platter—are off limits as both are very high in saturated fat.